For 14 years, the Dubai International Film Festival has been the leading movie festival in the Middle East. During this period, the event has managed to screen a staggering 2,000 different screenings, 500 of which were made by Arab filmmakers. The whole of the Middle East owes a debt of gratitude to this fantastic festival which has helped gain more than 300 regional films international recognition as well as helping many more gain funding and distribution. Added to this, the Dubai International Film Festival has supported some 200 regional filmmakers by recognizing their contribution to film via the festival’s Muhr Awards. The festival is a non-profit event, rather being aimed solely at recognizing outstanding achievement in film and gaining Arab filmmakers and their films international attention. The DIFF was arranged under the patronage of Sheikh Mohammed Bin Rashid Al Maktoum, UAE Vice President and Ruler of Dubai. Up until 2018, the festival was an annual event. The festival is organized by the Dubai Entertainment & Media Organization. It was originally held back in 2004 with the hope of attracting the world’s attention to what has since become the richest country in the world. The 1st edition was made possible by the fulltime efforts of over 400 staff and featured 76 films from the Arab and international stage. The first edition of the Dubai International Film Festival was a success. Some 13,000 people from the all over the UAE and the surrounding region attended. The event opened with ‘Le Grand Voyage’ by Ismaël Ferroukhi and lasted a total of six days. There were lifetime achievement awards for Indian director Subhash Ghai, Egyptian director Daoud Abdul Sayed and actor Omar Sharif. In the years that followed, the Dubai International Film Festival grew increasingly in popularity. The 2005 festival was attended by more than 30,000 people, more than double the number just one year before. The 2nd Dubai International Film Festival screened 98 films from both the Arab countries and internationally. Winners of the 2005 festival included actor Morgan Freeman, Adel Imam, Yash Chopra, and Mustafa Akkad, who all received a Lifetime Achievement Awards. In 2007, the organizers of the festival announced the creation of the Dubai Film Market (DFM) in 2007. The purpose of the Dubai Film Market was to raise the profile of Arab films on the international stage, something that it has been very successful at doing. To date, the Dubai Film Market has helped some 240 films to go on to win international acclaim. Another milestone was reached during the 6th edition of the festival in 2009. It saw the world premiere of a 100% UAE production, City of Life from Emirati filmmaker Ali F. Mostafa. The 12th edition of the Dubai International Film Festival took place in 2015 and saw record attendance numbers. The program included 134 feature, documentary and short films. Of these, 55 were international premieres with 11 being Middle East premieres. The films shown during this year represented a huge cultural range and languages. No less than 40 different languages were represented in these 134 films. Given the enormous success of the DIFF in the preceding years, it came as a huge shock to the film industry to hear that the organizers had canceled the 2018 event. Jamal Al Sharif (Chairman of Dubai Film and TV Commission) issued a statement that the “DIFF has established Dubai as a world-class destination in the film and content industry. It serves as a platform to promote cultural understanding between the region and the world, as well as the development of the local and regional film industry, giving the opportunity to many ambitious filmmakers to shine. “With the vast changes taking place both in the regional and global movie-making and content industry, we are seeking to redefine the Dubai International Film Festival’s approach towards nurturing growth, creativity, and talent. Innovative new approaches and technologies are transforming the distribution of content and the craft of movie-making. As a forward-thinking player in the global film industry, DIFF seeks to embrace the future of the industry through this strategic shift. 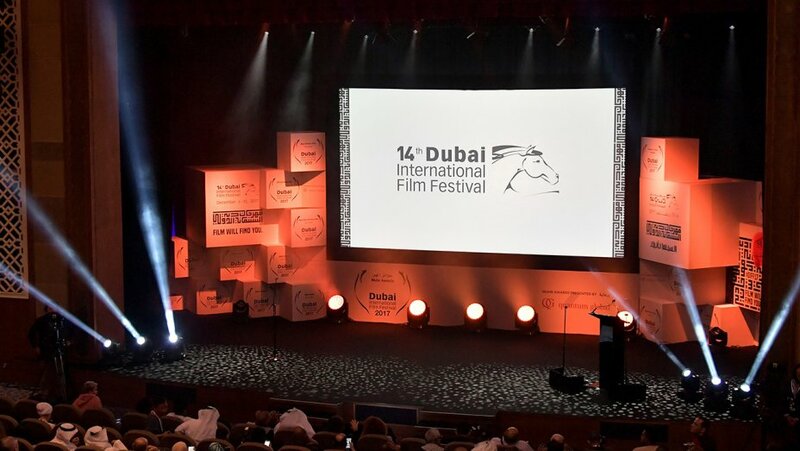 The organizers have yet to issue a statement regarding whether or not the 15th edition of the Dubai International Film Festival will be held in 2019. It seems almost certain that the event will be held in 2019, and that it will take place during the month of December. The organizers have stated that the festival is to be held every two years, rather than every year, from now on. For more information, watch this space. The 15th edition of DIFF is expected to take place in December 2019.